The ruins of the Artukid Bridge trace the route by which travelers entered the lower city of Hasankeyf in bygone centuries. Built in 1145 by Kara Arslan, this bridge was the largest of its day and no doubt made a lasting impression on all who approached the city. From high above the Tigris River, those crossing the bridge enjoyed a sweeping view of khans, madrasahs, mosques, churches, and, in the distance, suburban villas and gardens. In its scale and beauty, the bridge attested to the wealth of Hasankeyf and the civil engineering capabilities of the Artukids (established in Hasankeyf as vassals of the Great Seljuks). In addition, a series of relief carvings of human figures – thought to be court pages in ceremonial dress – were displayed on the bridge pylons and served as symbols of the sultan’s sovereign power and authority (Whelan 222). Scholars speculate that there were originally eight, possibly twelve figures; five have survived and are clearly visible to anyone who knows to look for them. Museums and libraries are full of illuminated manuscripts, ceramics, and metalwork reflecting the richness and complexity of Islamic visual cultures throughout history. What is less commonly known, however, is that at different periods, artistic tastes favored the use of human figural representation in architectural ornamentation, for example, among the Umayyads in Syria as well as the Seljuks of Iran and Anatolia. 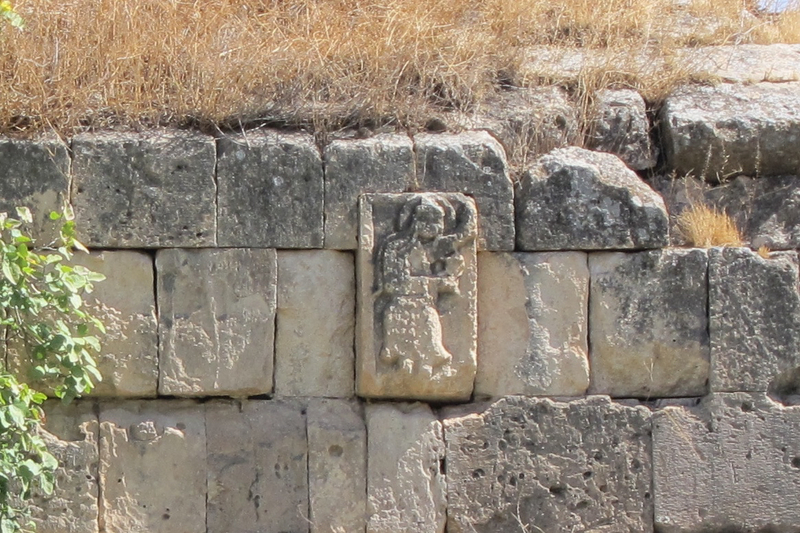 Many visitors to Hasankeyf are surprised to discover these carvings, which so clearly contradict the mistaken yet widespread assumption that the representation of human form is forbidden in Islam. Unfortunately, countless examples of human figural relief carvings and sculpture have been lost along with the secular buildings that held them; in some cases, they may have been “replaced by abstract floral and geometric ornaments and inscriptions” (Baer 51). As the last remaining site in Turkey where one can observe a collection of human figural relief carvings in their original setting, the Artukid Bridge at Hasankeyf is an invaluable example of Seljuk cultural heritage. Turkey’s other surviving examples are few and far between. Two reliefs depicting angels remain from the Konya Citadel; one is held by the Konya İnce Minareli Medrese Museum and the other is in the Staatliche Museum in Berlin. 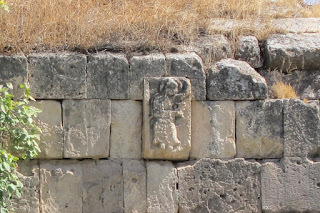 The 12th-century bridge near Cizre also bears relief carvings showing human form, but the bridge actually stands within the borders of Syria. No detailed plans for conserving these relief carvings have been published. Despite the fact that the waters of the Ilısu Dam will flood Hasankeyf within a number of years, the Artukid Bridge is currently undergoing restoration. The Turkish Highways Directorate is responsible for the project, which was approved by the Diyarbakır Cultural Properties Preservation Directorate. We hope that these extraordinary Seljuk relief carvings and the entire remains of the bridge will be conserved properly under the supervision of Turkey’s ICOMOS committee. In their present location, the Hasankeyf relief carvings not only belie common assumptions about visual culture in medieval Islam, but also form part of the comprehensive collection of Seljuk art, architecture, and technology to be viewed in their original context in Hasankeyf. Now is the time for archaeologists, conservationists, and all those interested in medieval Islamic civilization to emphasize the importance of protecting the Artukid Bridge and the entire city of Hasankeyf and its hinterlands. Baer, Eva. The Human Figure in Islamic Art: Inheritances and Islamic Transformations. Costa Mesa, Calif.: Mazda Publishers, 2004. Öney, Gönül. Anadolu Selçuklu Mimari Süslemesi ve El Sanatları (Architectural Decoration and Minor Arts in Seljuk Anatolia). Türkiye İş Bankası Kültür Yayınları, 1992. Whelan, Estelle, “Representations of the Khassakiyah and the Origins of Mamluk Emblems,” in Content and Context of Visual Arts in the Islamic World, P. P. Soucek, ed. University Park, PA: Pennsylvania State UP, 1988. pp. 219-253.